One of the key missions of a CHRO (or those who want to become CHROs) is to create a compensation plan. This has become increasingly complicated and dependent on other departments (like procurement) as the workforce has drifted to a more contingent/permanent blend. With 51% of employers saying their need for contingent workers will grow over the next few years, if you aren’t already considering your contingent spend or talking to procurement about these costs before mapping out your compensation plan for the coming years, you should. Below are what we feel represent the most important things you should consider before finalizing your compensation budget. Historical data: Basically, what you’ve done the past three years. You’ll want to check for specific trends as well as control for outliers like a merger or massive layoff, as these will obviously skew the numbers. Your blended workforce percentages: What is procurement spending on contingent hiring versus the hiring you are handling? VMS/MSP/RPO data or statements: You’ll want to pull things like bill rates and past spend and align with projects completed from the same time periods. You’ll also want an itemized statement from each of your vendors or those who managed those vendors, in order to know where (regionally) you’re spending the most money. The product or service roadmap: You’ll need to know the business goals of the company so you can hire to complete those. Starting your compensation plan without this data virtually guarantees you’ll get hit with a large project mid-year that will wipe out all your careful planning and budgeting. Rewards and recognitions programs: Some people will leave this piece until the end, but that may be why we have a massive disengagement issue in many places. Instead, start with this number in mind and weave compensation around it. Competitive data: Starting your compensation plan without understanding what your competitors are paying industry wide and in your specific region is a disaster. Not only can these numbers impact your benefits and rewards programs, you may find yourself overly reliant on agency fees when you experience higher than average turnover. Know what your competitors are paying, for both salaried positions and through agencies. The best way to you do this is to check the bill rate in a specific area, as supported by survey and crowdsourced data. Once you’ve gone through all the data, you will hopefully find some places where you can save. As mentioned earlier, make sure you check your data for outliers like mergers, those unexpected market dips or highly competitive markets, as those can really drive up costs. For many global enterprises, these are the opportunities to save moving forward. However, no matter what you see in the historical data, there will be automatic rises. Predictions are that salaries will rise 3% in 2017 across most major employee categories, up only slightly, if at all, from the raises they received this year. Which means your permanent budget will assuredly go up. 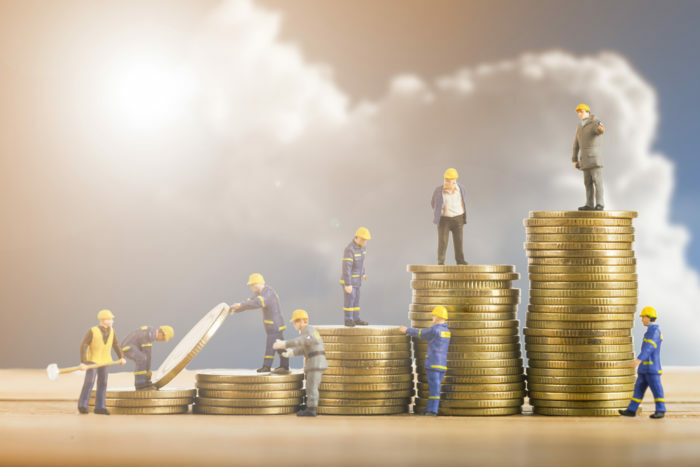 However, there may be opportunities to find that money elsewhere, particularly if you’ve relied on contingent workers for a significant portion of the year. Statutory costs can be negotiated after a certain period of time and in some cases, even taken off the bill rate. Use your compensation time to work with your vendors to determine what fat, if any, can be cut from the bill rate, particularly if you have a large contingent workforce at your company. Plan with your head of procurement to determine how you can trim any fat from your bills. It’s totally acceptable to ask for itemized invoices so do so before you set the budget for the following year. Work with hiring managers to determine peak times and slower periods, so if you do plan on using contingent or independent workers, you have a better idea of how and when to deploy them. Don’t forget to pull out the product roadmap or business goals at this time. Revenue goals can be very closely tied to compensation when used during the planning stage. Consider where your workers are. Does it make sense to move production to a region that’s less competitive while keeping engineering talent near HQ? Run the numbers to find out before committing to 30 junior engineers in Silicon Valley instead of Coeur d’Alene. In a room full of CHROs, if you ask their top concerns, one of them may well be compliance. In an increasingly global world, where you have to manage a service center in Bangor, Maine with the same insight and leadership as a production facility in Pune, India, compliance and equity is never far from any HR professional’s mind. Your boss expects you to keep him or her out of trouble. Knowing what the laws, rates, guidelines, taxes and fair compensation are in your region, state, country or province is part of the whole HR gig. Of course, unless you have a photographic memory, it’s pretty unlikely you’ll know all those things off the top of your head. However, you can engage your RPO, VMS or use a service that gives you real-time feedback on salaries and compensation all over the world. Freelancers from the gig economy study survey responded that they are very satisfied with their work; many freelancers cited that their satisfaction results from the fact that they have more control over their time, and they can use their skills on their terms. Over half of the respondents continue to see themselves freelancing in 5 years with 75% indicating that freelancing or small business ownership is more ideal than having traditional employment. A 2016 Field Nation Freelancer Study found that the quality of life for freelancers and those in the “gig economy” is pretty high. So do what you can to get as much budget focused on those who would rather be contingent and enjoy their positions and perhaps focus some rewards budget even on your contingent team! If every CFO believed their “competitive advantage was in their people” we’d be able to be as competitive as possible. But it can be really hard to map salaries, benefits, even the project-focused contingent folks back to ROI. But, while you’re in the planning stages, it does help to shoot for the moon budget wise. Today’s workers, permanent or contingent, have a plethora of information from which to choose. They know what they want to be paid, which companies are paying more than you are, and where to go regionally for a fatter paycheck. While being competitive ONLY on salary is a rookie move, it’s imperative to head to the corner office armed with data. Show off that competitive data. If it’s possible to pay less than your competitors in the same area and stay competitive, I’d like to see someone prove it. Show where the company made more money by investing in talent. Point out where the company lost money or opportunities because of a lack of talent. Offer possible cost savings you’re willing to make if he or she can give you the bump. Organizations should start by evaluating the critical skills needed to achieve company goals, determining where the talent gaps are, and then developing a strategy to fill the gaps with both full-time and contingent labor. Those spearheading this planning phase should be prepared to educate others within the company about what the high value contingent workers bring to the workplace. Providing research about the use of contingent workers in your industry and the growth of the contingent workforce nationally and internationally is a good place to start. Don’t let end of the year budget building be uncomfortable or hard to discuss. Whether you’re a seasoned CHRO or aspiring to be one, use the above tactics and professional advice to nail your 2017 compensation plan.